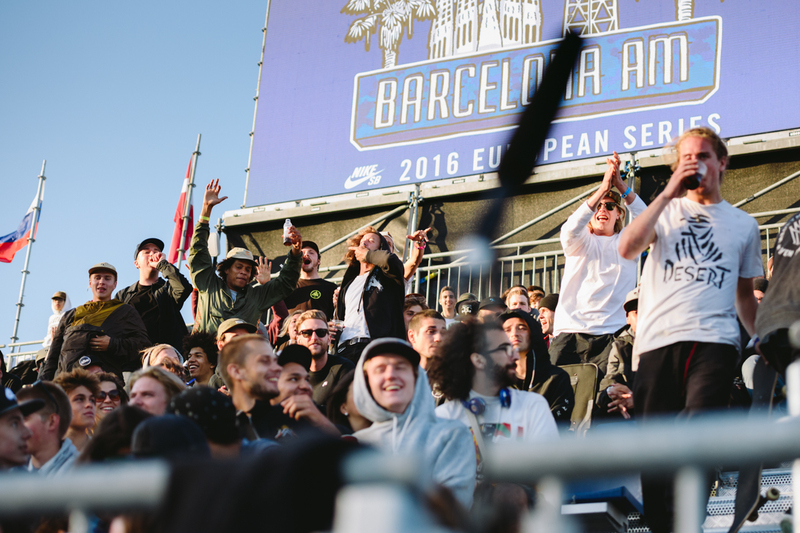 Last weekend Nike SB held the first of their 2016 European Series contests at Skate Agora in Barcelona. 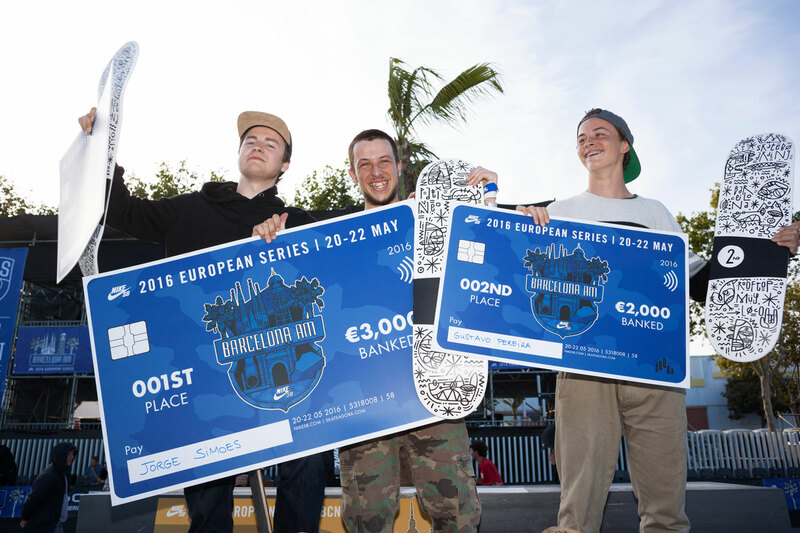 Like last year the idea was to fly over Europe’s top ams, get them on the course competing for the 10 000 euros of prize money and reward them with free booze parties, barbecues and a chance to check out Street League. Sounds straight forward enough but with almost a 100 dudes entering, fitting qualifiers, semi-finals, finals and super finals in two afternoons can’t have been an easy task. Shout out to Keld and the CPH Pro boys for once again making things run smoothly. In terms of the actual skating the main thing that stood out is how high the general standard was. It was one of those comps where you felt like almost every dude in the semi-finals could have walked away with the money if they’d been more consistent. 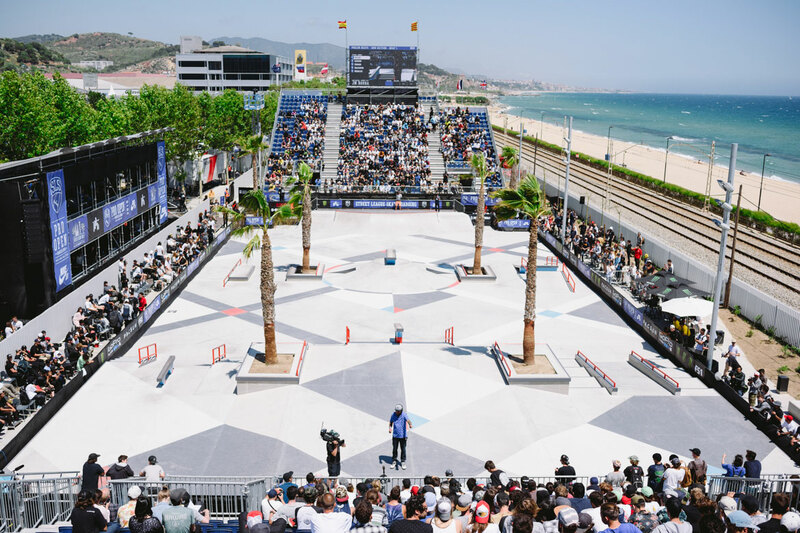 We were of course a little gutted to see that two of our favourites in the qualifiers (The Zombie and Nisse Ingemarsson) didn’t make the cut but all in all it seemed like the judges did a damn good job, especially during the best trick. How do you decide if a hard flip frontside board slide down a rail is harder a than a kickflip back blunt down one? Anyway in the end it’s Portugal’s Jorge Simões that took it with some effortless backside big spin fakie nosegrinds and a full speed 180 switch crook (coming from the side) down the big hubba. Scroll down for the results and some of Maksim Kalanep and Marcel Veldman’s shots of the weekend. Lyon’s 17 year old Robin Bolian kind of blew it in the finals but was definitely one of our favourite dudes to watch fly around the course. Plus his nighttime antics with women ten years older than him provided some of best gossip of the weekend. Good to see Phil Zwijsen coming ripping as hard as ever after recovering from a knee injury. The Desert Crew boys being legends. The winners: 1st Jorge Simoes, 2nd Gustavo Ribeiro and 3rd Gard Hvaara. Jorge with a backside overcrook in the finals.